Plus, new PET/CBM web content!! For 2017, a ton of CBM updates and new site content are palnned covering: musical instruments, DIY electronics, boutique gadgetry and non-Commodore systems. For now, I highly recommend both eightbitgeneration and The 64. Take a look! Multiple Personality Disorder isn't such a bad thing if you're an 8-bit computer. Appearing in 1985, the Commodore 128 was one of the last 8-bits and certainly the best of any make or model. It represented the end of the road for a line which began with the PET 2001-8 back in 1977. Some say it was what the C64 should have been. 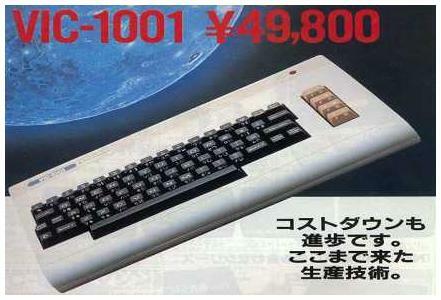 It didn't sell as well as the C64, but several millions did make their way into people's homes around the world. People got a lot for their money! SpeedScript 128 Date and Time Stamper, Nov 87. SpeedScript 128 Plus, Sept 89. SpeedScript Easy Cursor, Nov 89. Wheels 128 - Wheels is a defunct operating system for the Commodore 128 home computers partially based on, and an upgrade from, GEOS 128 v2. It is generally backwards compatible and gave new abilities to the 128, including the ability to open several, movable, resizeable windows on the desktop. At the core of the Wheels OS was the new Dashboard and Toolbox. The Dashboard was the name for the new desktop environment which made using the 128 similar to using modern Mac or Windows operating systems with icons and a menu bar. The Toolbox was the replacement for the GEOS Configure app. Wheels required at least a 128 KB RAM Expansion Unit to operate. It also supported hardware that standard GEOS and the standard KERNAL couldn't handle, including Creative Micro Designs HD hard drives (up to 4 GB), high-density FD-2000/FD-4000 floppy disk drives (up to 3.2 MB), RAMLink with expanded RAM addressing (up to 16 MB), and SuperCPU 20 MHz accelerator with SuperRAM up to 16 MB. Somewhere in a parallel universe everyone is running Digital Research operating systems instead of Microsoft. CP/M development started in 1975 by the computer science genius, Gary Kildall. There are several versions for different processors, starting form the Intel 8080 and other processors like Zilog Z80 and the Intel 8085; later for the Intel 8086, Zilog Z8000 and also for the Motorola 68000. The Commodore 128 ran CP/M in its top mode on its Z80 CPU, which is why CP/M is mentioned on this web site. Dr. Kildall forever changed computing by laying the foundation for modern PC operating systems, and he was a great teacher who shared his knowledge with others. He died on July 11, 1994. Bringing up CP/M on a C128: The C128 basically started with the Z80 as the active CPU. The computer would check to see if there was a CP/M boot disk in the drive. If not, the Z80 would be disabled and 8502 took over. Control µIEC in CP/M - Someone recently asked if anyone was using CP/M on a DNP image. Based on what I can tell, using the real CMD HDD with CP/M is limited to something called Commodore disk emulation. Therefore, CMD released a CP/M utility called SPORT.COM. SPORT works in a manner similar to most DOS wedges. Using CBM-Command, I put the cmd_cpm_utils.d64 disk image on a real floppy. I then booted CP/M as usual from a disk image in µIEC. Once booted, I changed to drives B> in my case - where my SPORT.COM utility was located on floppy disk. The real point here is to get off your boot disk image in drive A> while we're sending commands to the µIEC hardware. Note: _ is created using the "back arrow key" [<-] on the C128 keyboard (upper left-hand side). Note: My CP/M boot disk image file name starts with cpm* in the root directory of my SD card. Now you can mount drive A> and do the 'dir' and it works. What does all this mean, you ask? It means that if one were organized and had various CP/M disks in the root directory of their SD card they could move in and out of those disk images using SPORT.COM from within CP/M. This is about the same behavior as if one were using a real CMD HDD from within CP/M, and the reason CMD released the SPORT.COM utility along with the hard disk drives. The Commodore 64 was an 8-bit home computer released by Commodore International in August, 1982, and during it's lifetime (between 1982 and 1994), sales totaled close to 17 million units, making it the best-selling single personal computer model of all time. Approximately 10,000 commercial software titles were developed for the Commodore 64 including development tools, office applications, and games. The C64 made an impressive debut at the 1982 Winter Consumer Electronics Show, as recalled by Production Engineer David A. Ziembicki: All we saw at our booth were Atari people with their mouths dropping open, saying, 'How can you do that for $595?'. Getting to C64 mode on a C128: If the C= key was being held down on boot or the user typed, "GO64," the C128 would shift to C64 mode. With few exceptions it was 100% compatible. Compatibility was a difficult lesson that Commodore learned from the PET-VIC-C64-TED days, but finally got it right in the end with the C128. 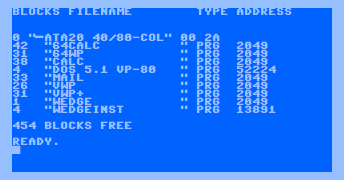 Data20 Programs (Disk image) - A disk image of Data20 Display Manager 80-column programs for C64 and VIC, including the hard to find, "Plan Manager," (called 64CALC) a spreadsheet program, as well as, "Word Manager," (called 64WP) for the Commodore 64. Plan Manager Instruction Manual - in the process of being uploaded to DLH's Commodore Archive. - DONE! 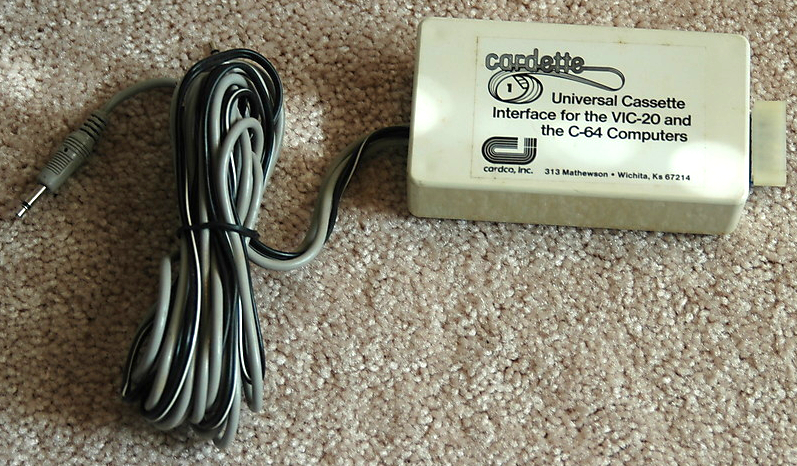 CIE IEEE-488 Cartridge (Disk image.) - Drivers for the C64 IEEE-488 cartridge from MSD. Typed in from the manual. Schematics. MusicMate Keyboard (Disk image.) - Drivers for the Sequential Circuits MusicMate Model 970 keyboard. I saw one of these on display at the Computer History Museum in Mountain View, California and just had to have it. One shows up on eBay maybe every 6 to 12 months or so. Plug the keyboard into Port #2. Computer Place Numeric Keypad (Document) - Instruction sheet and box cover for the hard-wired numeric keypad from Computer Place. Cardco Cardkey 1 Numeric Keypad (Disk image.) 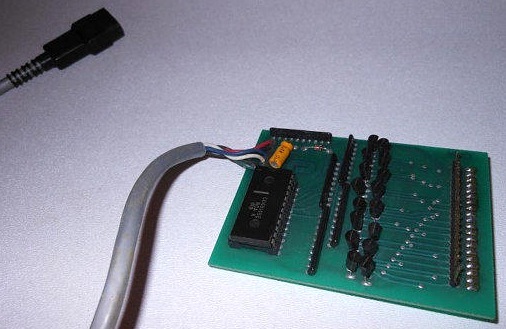 - Drivers for the keypad for C64 and VIC. Restored by Fredric Blåholtz and myself in 2011. Documentation Here. If you have the Atari CX85 numeric keypad, the Cardco driver will work for it, too. Just try this example keymap configuration file. (Sequential file.) I did not test the CX85 config file on a C64 though. I only tested it on a VIC-20. Notes on the CX85 version: NO=*, DELETE=/, YES=RETURN. 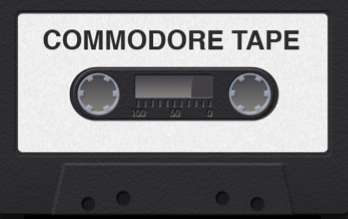 I didn't have a C64 at the time I was working on restoring the VIC-20 version, so I figured maybe the best thing I could do for my C64 friends is to post a WAV file of the C64 side of the tape (no modifications) and let the experts hack away at it. This was Side One (the VIC stuff was on Side Two). Sound Recorder was set to record at PCM 44.100 kHz, 16 Bit, Stereo, and I was using a first-generation C2N for the playback to Windows. This is the same configuration I used to eventually get kbasic-vic.prg posted online earlier. Tape length was roughly two minutes. e5frog (Fredric Blåholtz) picked it up from Lemon64, and worked all night on the repair. He got it! He found it looks pretty much like the VIC-20 version. "The first row of DATA is the same and then it starts to differ on some bytes," he said. Cardco Cardriter Light Pen (Disk image.) - Software / example drivers for the light pen. Restored from cassette. Documentation Here. To the best of my knowledge this manual/disk is not available anywhere else online today. Scanned and uploaded to DLH's Commodore Archive. that used the Speakeasy for speech and some sound effects. Stefan Uhlmann contacted me on May 15, 2013 to report that he had #1, #2 and #3 of the software programs mentioned above and would begin working on restoring them from tape. On May 20, 2013 the conversion was completed and these programs are now available as a disk image. Many thanks to Stefan for restoring these untra rare programs!! About: PERSONAL PERIPHERAL PRODUCTS, INC. was formed on April 14, 1983 in Illinois by RONALD J TAYLOR. RICHARD SCHWARZBACH was the president of the company. 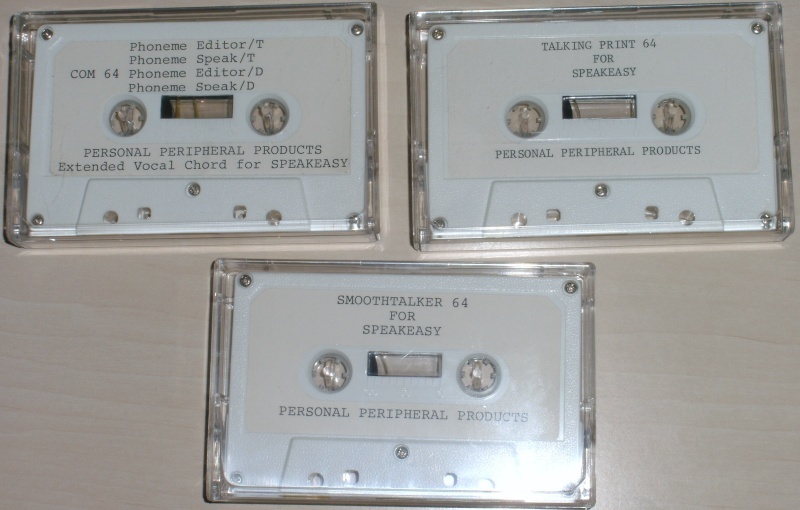 The PPP Speakeasy-C was also sold through Protecto Enterprizes as a Voice Synthesizer under their brand name. RUN Magazine's 'Magic' column - This was probably one of the earliest forms of crowdsourcing, and RUN Magazine had about 300K subscribers at its peak. These are valuable materials for nearly all Commodore computers, not just the C64. Christopher Ryan has created a complete archive of the tips and tricks contained in every issue of RUN. The 'Magic' column, compiled by Louis F. Sander, debuted in the first issue (January 1984) and spanned the entire lifetime of the publication. Even more legendary was the Special Issue at the end of the year, with over 100 never before published tips and tricks from the previous year. RUN Magazine would pay you up to $50.00 for sending in a tip or trick they used. Louis Sander later published a book called, "Tips & Tricks for Commodore Computers," based on the column of the same name from Commodore Magazine between the years 1986 to 1988. All of these resources should not be missed, which is why I'm calling them out here. Finally, don't miss the 2012 book, "10 PRINT CHR$(205.5+RND(1)); : GOTO 10", which considers the phenomenon of creative computing and the way computer programs exist in culture. It is also available as a free PDF download from the book's web site. Whatever Happened to the Tramiels? (Document) - Jack Tramiel left Commodore in 1984 after the success of the C64. He went on to buy Atari's computer division and ran it with his sons. Commodore would be bankrupt and out of business by 1994. Jack Tramiel was able to attend the 25th anniversary of the C64 at the Computer History Museum in Mountain View, California on December 10, 2007. He died on Sunday, April 8, 2012. "...He destroyed me. ...He destroyed my family. ...He did all kinds of terrible things, but he gave me a chance to do something that nobody else would. ...I can remember that and thank him for it." -- Chuck Peddle on Commodore founder Jack Tramiel in, "On the Edge: The Spectacular Rise and Fall of Commodore." C=Hacking Index (Document) - An electronic technical publication for the Commodore 8-bit community, by the Commodore 8-bit community. The subject matter covers a broad range of topics including software, hardware, and other areas of interest to technically-minded readers. Articles are contributed on a voluntary basis and represent the cutting edge of Commodore 8-bit technical developments from its most innovative and productive members. The VIC-20 introduced millions of people to the fascinating world of personal computing. It holds this high honor primarily because it was the first color computer to break the $300 (U.S. Dollars) price barrier. As the VW Beetle was the people's car, the Commodore VIC-20 was a computer for the people. Indeed, it was, "The Friendly Computer." 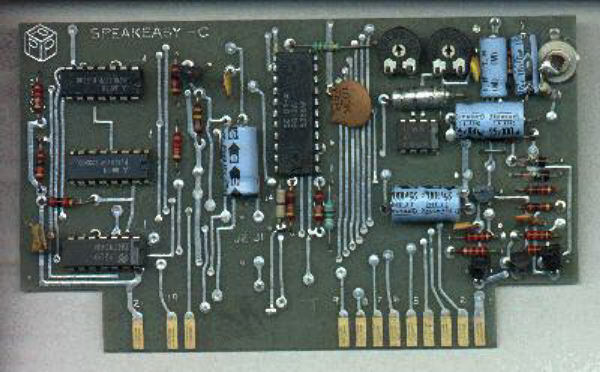 Build a Speech Synthesizer for VIC-20 (Document) - This project can easily be completed in a weekend, and done together with a child or friend. Only a Raspberry Pi, simple components and basic soldering are required. In the end you will have something pretty darn close to a Votrax Type-N-Talk / Personal Speech System. Now you're talking! Michael Tomczyk -- See also, Benutzefreundlichkeit: Nüfekop; Turning Japanese...; VORC: What was Japan for Commodore? ; Commodore Legends: Michael Tomczyk – Part I, Part II. If you're interested in more VIC-20 history you could read pages 3-10 of, "Compute! 's First Book of VIC;" or, "Home Computer Wars," also by Michael Tomczyk. He recently gave a presentation in Rome containing some rare photos! The Ward Shrake Interviews - Peter Fokos ("Alien Blitz," "Cloudburst" and "Spiders of Mars"); Thomas Giguere ("Outworld" and "Alien Blitz") and Ron Wanttaja ("IFR Flight Simulator"). The Jim Lawless Interviews - Don French ("French Silk Assembler"); Tom Zimmer ("Forth"). Filled with first-hand accounts of ambition, greed, and inspired engineering, this history of the personal computer revolution takes readers inside the cutthroat world of Commodore. Before Apple, IBM, or Dell, Commodore was the first computer manufacturer to market its machines to the public, selling an estimated 22 million Commodore 64s. Those halcyon days were tumultuous, however, owing to the expectations and unsparing tactics of founder Jack Tramiel. Engineers and managers with the company between 1976 and 1994 share their memories of the groundbreaking moments, soaring business highs, and stunning employee turnover that came with being on top in the early days of the microcomputer industry. This updated second edition includes additional interviews and first-hand material from major Commodore figures like marketing guru Kit Spencer, chip designer Bill Mensch, and Commodore co-founder Manfred Kapp. Priced new from $9.89 (Kindle Edition). Assteroyd Dodger (Disk image.) - I wrote this game back in 1983. I would have been about 15 years old, so pardon my juvenile humor with the phonetic spelling of asteroid. My high school buddy, Patrick, did the graphics. It is kind of a miracle I still have the code. It spent about 14 years on an old cassette tape in the closet. (long since lost) It then spent another 12 years in PC-VIC's 'PCV' format. I've since resurrected it in D64 format for use on VICE or a real VIC-20. It is an Arcade/Avoid genre game in the style of a downhill skier or cavern runner. Use your joystick to fly through an asteroid field at warp speed. The longer you stay alive the higher your score. Arcade fun for the whole family! In 2010, I re-wrote a minimal version to optimize for speed and memory. Tape Ton (PRG File.) - Can you make your 1530/C2N Datasette play audio cassettes through your TV speakers? Why, yes you can! Written by D. Rother, Tape Ton is a little 1K program to listen to music cassettes. Written in ML for unexpanded VIC. Just LOAD and RUN it. Type SYS7424 to activate it. It adds a new keyword to BASIC called "TAPE". Place a music cassette into your datasette, type TAPE, press PLAY and listen to the audio cassette on your monitor's speakers through the VIC-20. Press F7 to quit. 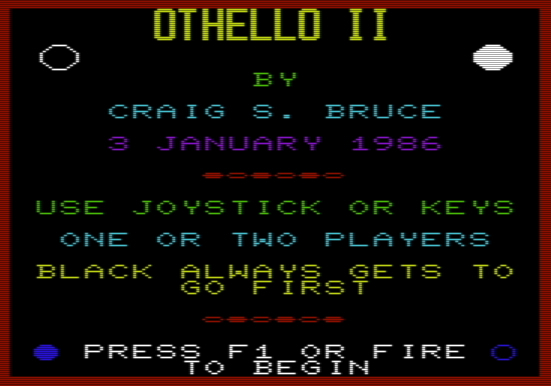 Othello II (binary file) - Othello II by Craig Bruce is a game you don't see discussed very often and it's a shame, because it is really good! It was written in 1986. It has excellent A.I. and a demo mode. If you have never seen this one before, you should definately check it out. The 6522 (VIA) Bug (Document.) - Just like your PET friends, Commodore carried the potential for the "CB2 Sound" forward to your VIC-20. This is the sound that is made by sending square waves out of the 6522 IC on some Commodore computers. It is called 'CB2', since that is the name of the pin on the 6522 that outputs the waveform. I won't go into a complete description, except to say that most models of the PET had the capability, and most PET owners used it as the ONLY sound source, since the PETs did not have a sound chip. 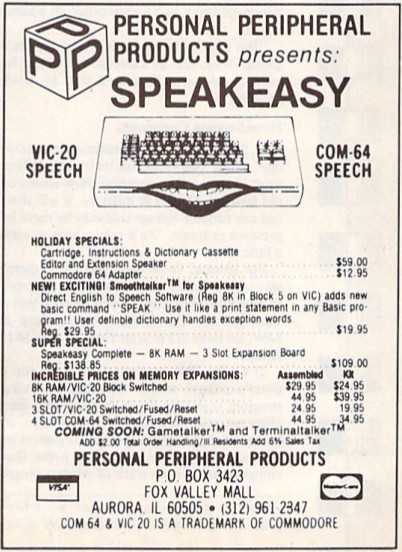 Although the VIC did have good sound capabilities, by that time Commodore had realized its widespread use and included some information on it in the Commodore VIC-20 Programmer's Reference Guide. 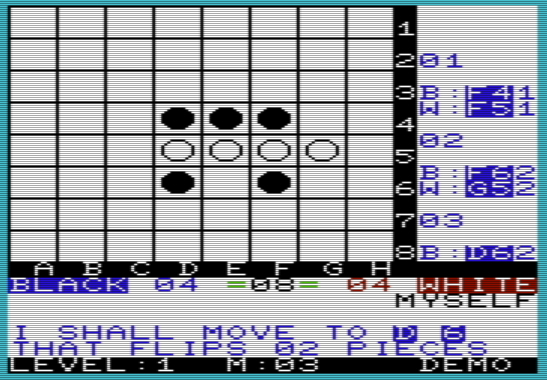 What this means is that you can add a 5th sound channel to your VIC-20 for more musical voices and tones. For additional info, reach for your nearest Programmer's Reference Guide (PDF|TXT) and start reading from page 232. Speed Script v3.2 (Disk image.) - The VIC-20 version of SpeedScript 3.0 appeared in the April 1985 issue of COMPUTE!. Corrections for several minor bugs were published in the May 1985 "COMPUTE!" column. With these enhancements, the title on the screen indicates version 3.1 (same version as the book). Further corrections-most notably a fix for an underlining bug-appeared in the article "SpeedScript 3.0 Revisited" in the December 1985 issue of COMPUTE! ; these enhancements changed the version number on the screen to 3.2. This is on Mega-Cart now, but I didn't have one then. I typed all of the patches and revisions in manually. All versions of the SpeedScript 3.x family work the same, so you can use the book as the manual or this handy document. 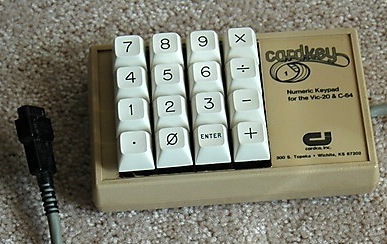 Cardco Cardkey Numeric Keypad (Disk image.) - Drivers for the CK/1 keypad for C64 and VIC. Documentation Here. Bits restored by Fredric Blåholtz and myself in 2011. Totally not needed if you also have the extremely rare CK/A board as shown to the right. 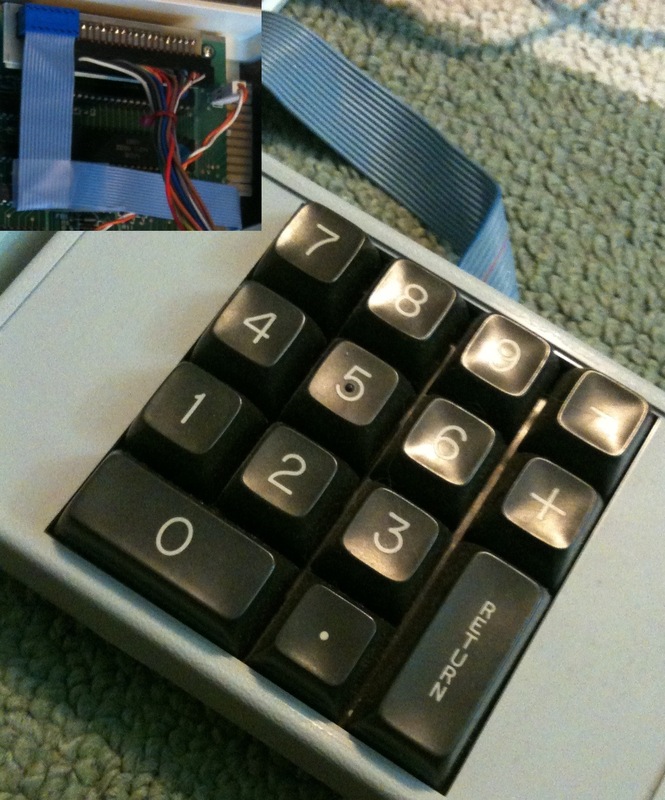 If you have the Atari CX85 numeric keypad, the Cardco driver will work for it, too. Just try this example keymap configuration file. (Sequential file.) Notes on the CX85 version: NO=*, DELETE=/, YES=RETURN. To get this working I bought a "new" CK/1 from an old Commodore dealer (not cheap). Even though the cassette had never been used, bit-rot had set in. Nothing would load without a load error. I eventually had to bring the program into my PC as a WAV file from cassette, double the volume, play it back to my VIC-20 through a Cassadapt interface and have the potentiometer set exactly right to trigger whatever signal was too weak on the original cassette. Took me all night of tinkering and about 40 tries. The good people at Cardco only recorded it once on the cassette. (Two copies front and back might have been a nice gesture.) I didn't think it was recoverable. As far as I know it is not available anywhere else online today. To redefine one of the keys as a comma, list Lines 7010 to 7050 of the K Basic program and change the desired key to a comma. Cardco was started in 1982 by Ed Lippert and Breck Ricketts out of a garage in Kansas with four employees. Breck designed almost all of the products and Ed was the energetic salesman. I think all of the Cardco products have a certain character or charm. Innovative, yet unrefined / cost-reduced... maybe just a step or two above home-brew. They had really great documentation though. We all remember how the company flooded our magazines with advertising - much of it in full color and occupying some prime real estate. Well, the company grew too quickly and lacked the necessary maturity. For example, on Tuesday, February 19, 1985, a U.S. federal trademark registration was filed for Cardco by Breck. The USPTO had given the Cardco trademark a serial number of 73522548. But, by November, the federal status of this trademark filing was ABANDONED-FAILURE TO RESPOND OR LATE RESPONSE. The business finally collapsed in 1989 after only seven years. Manufacturing rights were sold off and the founders went on to pursue other business ventures. A light pen is a pen-shaped input device which connects to a compatible computer (such as the VIC-20). The device contains a light sensor which, when pointed at a cathode ray tube screen, generates a signal each time the electron beam raster passes by the spot the pen is pointing at. The VIC chip accepts this signal, generates the X and Y coordinates in a pair of registers, and, if desired, causes an interrupt to the CPU every time new coordinates are reported. It is difficult to find a light pen that still works today. Plus, you need an old TV with a picture tube (not an LCD). The first light pen was called a "light gun" and in 1952 it was part of the Whirlwind Project at MIT. Subsequent devices were used to hone in on suspicious blips on the CRT in the U.S. air defense system (research the Whirlwind and SAGE systems). The light pen became moderately popular during the early 1980s. Since the current version of the game show Jeopardy! began in 1984, contestants have used a light pen to write down their wagers and responses for the Final Jeopardy! round. Despite the ease and availability of this technology, it was rarely used, owing mainly to lack of precision. First of all, the X coordinate is "rounded off" to even pixels (or more precisely; the reported X coordinate is an integer representing half of the actual horizontal position). Second, problems with noise, non-ohmic properties of the involved cables etc. causes a lot of "jitter" (several pixels) on the reported X coordinate, even if the pen is held completely still over a specific point on the screen. The light pen also requires the entire screen image to be quite bright, to ensure a significant "spike" in the amount of light received as the beam passes by the pen's tip. Any dark graphics causes the aiming point to "slip off" the dark areas, catching a nearby brighter spot on the screen instead. These limitation make the light pen system unsuitable for "precision work", such as drawing things or pointing to menus on the screen, leaving only "non-precision" shooting games as a target application for this technology. Cardco Cardboard/6 (Document.) - The most valuable feature of the Cardboard/6 is its ability to switch select memory address lines on a per slot basis. Scanned and uploaded to DLH's Commodore Archive. The long ribbon cable that connects this adapter to your computer is liable to pick up electrical interference that prevents some cartridges (including Quick Brown Fox) from working reliably. Products from Precision Technology are also suspect. The only way to fix Cardco's 6-Slot Adapter is to wrap the ribbon cable in aluminum foil to screen out the interference. Be sure that the aluminum foil doesn't contact any other metal surface, such as the edge connector or the circuit board. This may expose you to a shock hazard and damage your equipment. 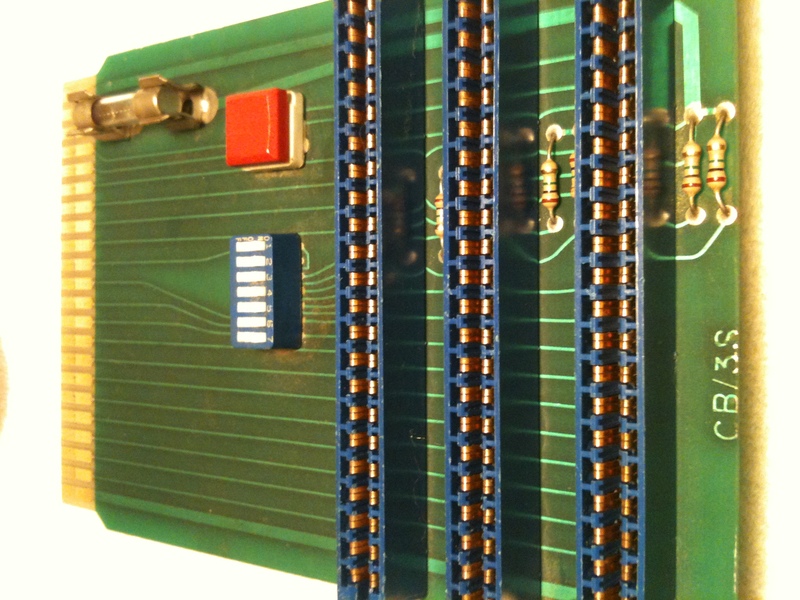 Cardco Cardram 16 (Document) - 16K Memory Expansion Cartridge for the VIC-20 instructions and DIP-switch settings. Cardco Cardware C01 (Document) - "WRITE NOW!," cartridge instructions. SYS41000 to start. Cardco Cardette 1 - No documentation, but still worth a mention. Absolutely the best way to transfer TAP files converted to WAV using your Mac/PC sound card and a program like Audacity. I use TAPWAV v2.5 to handle the conversion from TAP to WAV. I set my computer's volume to about 75-80% in Audacity, but your experience may differ. I've owned many various C2N/1530 substitutes, including DC2N, but I must admit that I'm most impressed with this old classic. Pick it up on eBay the next time you see one! I also recommend grounding the cassette switch pin (F-6), so VIC doesn't keep asking you to press buttons on the datasette unit. Pin A-1 is ground on the cassette port. I don't recall any VIC-20 games that required the cassette switches to be off to RUN, but there may have been some C64 ones. Correct me if I'm wrong. Quick Brown Fox (Document) - word processor cartridge instructions; includes start-up SYS locations and information on using with Data 20's 40/80 column cards (see below). To start, type SYS24576 and press RETURN. The message with (0, 4, 8)? will appear. On an unexpanded VIC-2O, type 0. If you are usinga Data 20 or Quantum Data board, type 4 for a 40-character text display or 8 for an 80-character display. Use SYS32549 to start after special configuration settings (see instructions). Commodore VIC-1110 (Document) - 8K Memory Expansion Cartridge for the VIC-20 instructions and DIP-switch settings. Jason-Ranheim Promenade C1 Files (Directory) - PROMOS v1 for the Commodore VIC-20 and related documents. Version 1 may be out there but it is hard to find. For example, I'm having trouble reaching Andrew Wiskow's site now. 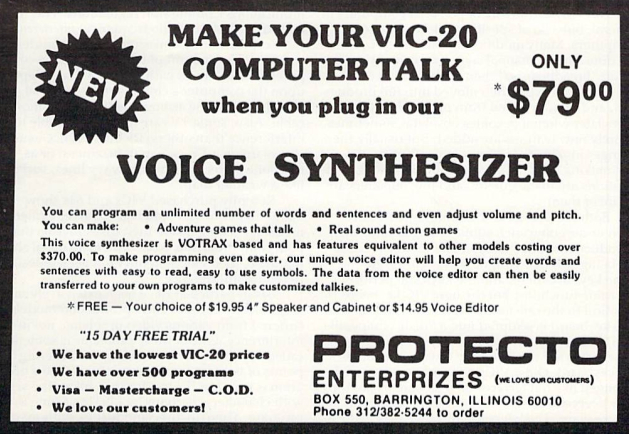 You will need it for the VIC-20. Documentation is over on Mike Naberezny's site. For an example procedure of burning ROMs with a VIC, please read these step-by-step instructions. The Jason-Ranheim Company (San Jose / Auburn) was a company which made specialized boards for the Commodore and advertised in all the Commodore magazines of the 1980's and 1990's. 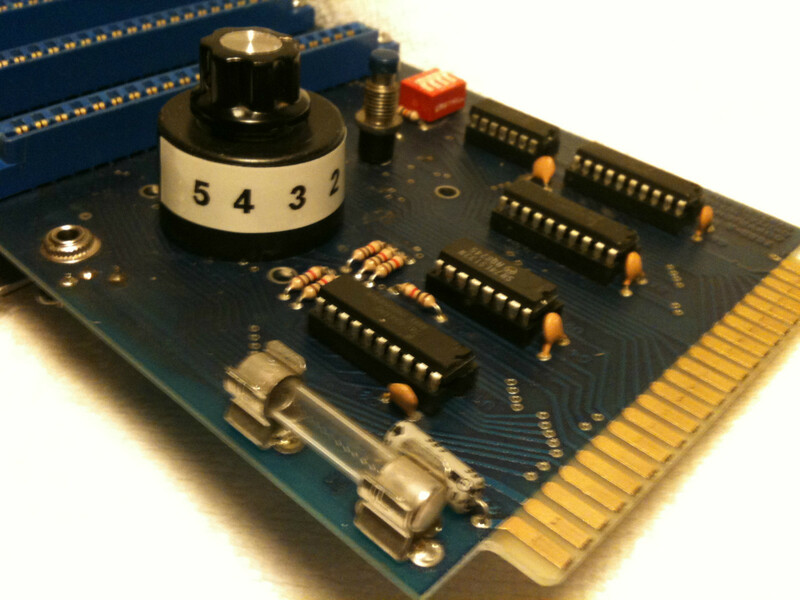 JR sold a variety of eprom related products for the VIC-20 circa 1983, and produced the Promenade C1 EPROM programmer. The Promenade C1 has been cloned by several people and is seen by many as the eprommer standard in the USA. In September, 2011, Judy Ranheim, widow of John Ranheim of the Jason Ranheim Company, contacted Robert Bernardo's user group. Judy wanted to give the remainders of the company to the user group, and Robert visited her house and packed his car with loads of goods from her. The FCUG members were be able to pick out what they wanted at the following users group meeting. Protecto Enterprizes / PPP Speakeasy-C Files (Directory) - Show off your Votrax-based (SC-01-A) voice synthesizer with these simple, sample programs and related documents. "Shut your face," I found somewhere else, but, "VIC Tongues," is an original creation of mine. You can now listen to Mr. T say, "I pity the fool!" (mp3), a program by Larry Cameron. Some comments on VIC Tongues: Sending random phonemes to the Votrax can give VIC his own language. You can listen for hidden messages amongst his endless babble. Is it inspired? If you are lonely he can be that loyal companion who never shuts up! HELP!! -- There is some missing software out there for BLK5 = $A000-$BFFF that adds command(s) to BASIC: Smoothtalker. Also missing are Gametalker and Terminaltalker. If you have one or more of these programs then please contact me at "rmelick650 at google dot com" so I can host them here for everyone to enjoy. 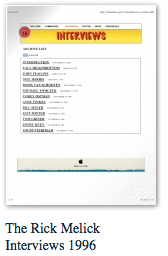 These manuals were added 3/6/2011. Thank you Paul D. for the find! I've scanned and uploaded to DLH's Commodore Archive. 1. Speakeasy Installation and Operations Manual v1.2. 2. Speakeasy Phoneme Editor Operating Instructions v1. BYTE magazine published an article (Features, Feb. 1981, page 164) about the SC-01 by two Votrax Employees, and here is its phonetic speech dictionary. Originally Protecto Enterprizes started with a computer called the Interact and then the ATF, followed by the VIC-20 and C64. They decided what they wanted to do is offer the consumer somebody they can talk to. It worked so well that Commodore used to refer people to Protecto Enterprizes from their own customer support lines. All of their sales people knew the equipment, they knew the product, and they knew what what was being sold. Protecto Enterprizes gained a pretty good reputation along those lines. When the VIC-20 first came out Protecto Enterprizes was working out of the basement of John Schelley's house (president and co-founder). They soon bought a location and quadrupled office space & phone lines, and doubled warehouse space as well. The company strategy was to focus on customer service. They had many, many repeat customers. A second part of the strategy was fast shipping and service (the only computer company in the United States where you could do impulse buying by phone at the time). The final part of the strategy was a fifteen-day, "free trial" policy. No matter what, you could always send stuff back and get a full refund within forty-eight hours. Repair work was handled by just shipping out another new unit -- for free if in warranty or charging a small fee if out of warranty. They sometimes doubled the warranty to 180 days. • LOWEST PRICES • 15 DAY FREE TRIAL • 90 DAY FREE REPLACEMENT WARRANTY • BEST SERVICE IN U.S.A. • ONE DAY EXPRESS MAIL • OVER 500 PROGRAMS • FREE CATALOGS -- Protecto Enterprizes ("We Love Our Customers"), Barrington, Illinois. Data-20 Files (Directory) - 80-column word processor and mail merge software for Data-20 Video Pak 80 / 16k VideoPak and related documents. There were at least two versions of the Data 20 hardware for VIC-20 that I can tell. As far as I know this information is not available anywhere else online today. Data 20 16K "Video Pak" w/ Power Supply (1982) seems to be a first generation of the 40/80 column card products. It used a Synertek 6545 video controller. Power supply was 9V AC output (same as VIC), so a two prong VIC-20 power supply could be adapted by connecting leads to the bottom side of pins 1 and 3. A number of people have reported owning 64k Video Paks, so they were definitely not vaporware. Notes on the Word Manager software: vwp and vwp+ are basically the same, but vwp+ requires slightly more memory. There is also some mail merge software. I know I found them somewhere else from Brent Santin, but the documentation was a lot harder (had to locate a 16K Video Pak and scan them myself). 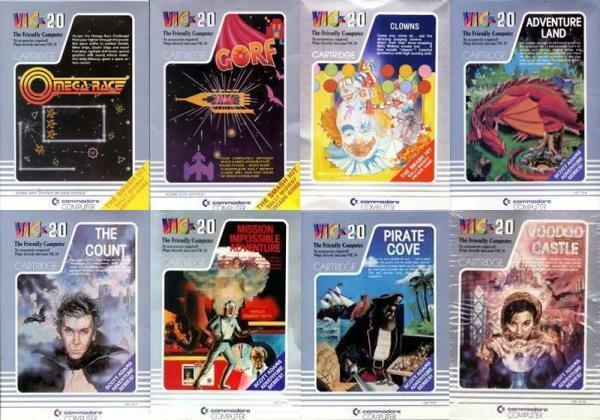 Data20 Programs (Disk image) - A disk image of Data20 programs for VIC and C64, including the hard to find, "Plan Manager," (called CALC) a spreadsheet program. Data 20 Video Pak Instruction Manual. Scanned and uploaded to DLH's Commodore Archive. Video Pak firmware resides in BLK 5, however adding another 3K + 8K in BLK 3 can give you max 31K bytes free for Basic!! How? Data 20 Corporation was incorporated in California on May 26, 1982. The company was located south of Long Beach in Laguna Hills. Data 20 employed approximately twelve people. The company was founded by husband and wife team Edward and Jan Sempliner along with William J. Schlanger. The Sempliners contributed $30,000 as the initial capital of Data 20. Mr. Sempliner was a director, president, and a thirty percent owner of Data 20. In October, 1983, Sempliner had a nervous breakdown and resigned from Data 20. Mr. Schlanger was 22 years old at the time and named director and vice-president of engineering. As vice-president of engineering of Data 20, Mr. Schlanger handled all of the engineering design and development for Data 20, and all of the production purchasing for Data 20. He hired and supervised the five engineers and technicians working for Data 20. He also hired his brother, Steven. Steven Schlanger was hired as a salesman by his brother. In October, 1983, when Sempliner resigned, Steven was named a director and vice-president of sales and marketing of Data 20. As vice-president of marketing for Data 20, he was responsible for selling the products of Data 20. He handled customer relationships. He supervised two employees who fielded phone calls from Data 20′s customers. He controlled the prices Data 20 charged its customers. In January, 1984, William Schlanger hired William White to be president of Data 20. Under White's leadership, Data 20 failed to fully pay its payroll taxes from the last quarter of 1983, all four quarters of 1984, and the first half of 1985. The company also failed to secure meaningful venture capital during this time. In May, 1985, William Schlanger resigned from Data 20 when the company filed for Chapter 7 bankruptcy protection. On October 12, 1989, the United States of America recovered $70k from William White in a lawsuit over the whole payroll tax issue. The Schlanger brothers went on to patent an uninterrupted power supply system for Unison Technologies in October, 1988. 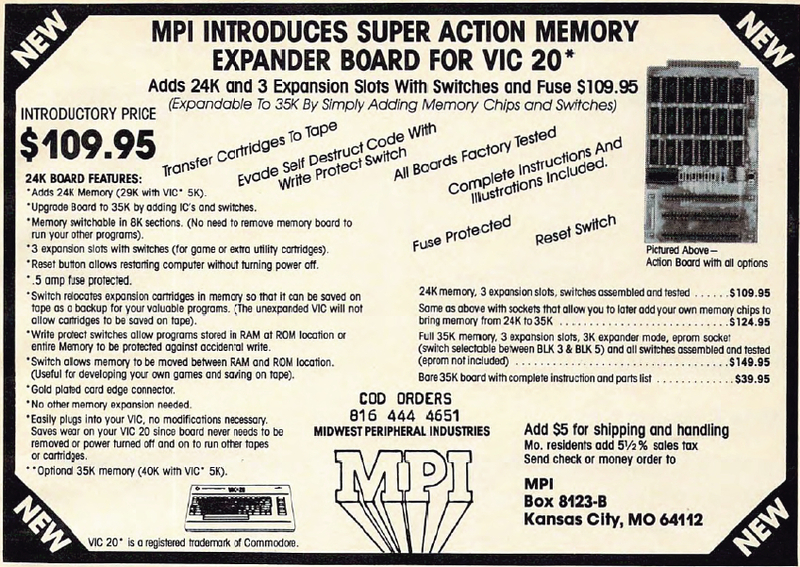 MPI 020 Super Action Memory Expander Board for VIC-20 (Document) - Instruction manual for this cool 3-slot motherboard extension with RAM (up to 35K) and ROM socket. - 5 slot combination rotary and rocker switch selectable expansion board conveniently covers all switching needs. - Combination switches allow total control between computer cartridges and game cartridges. 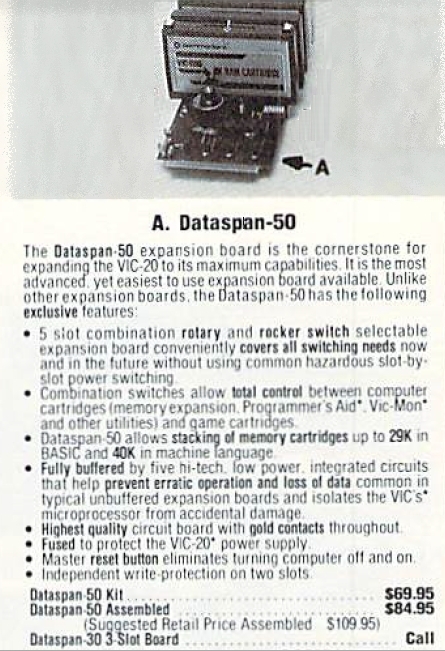 - Dataspan-50 allows stacking of memory cartridges up to 29K in BASIC and 40K in machine language. - Fully buffered by five hi-tech, low power, integrated circuits that help prevent erratic operation and loss of data common in typical un-buffered expansion boards and isolates the VIC's microprocessor from accidental damage. - Highest quality circuit board with gold contacts throughout. - Fused to protect the VIC-20's power supply. - Master reset button eliminates turning computer off and on. - Independent write-protection on two slots. - If you accidentally have the polarity reversed the VIC won't start. Just power down and reverse the polarity. The rotor should be dialed to wherever you have a BLK5 auto-start cartridge image, otherwise turn it to "0" to prevent auto-start on all slots. 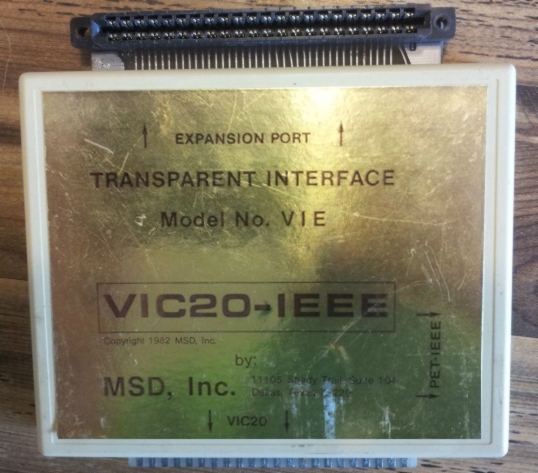 MSD Model VIE VIC20-IEEE - Micro-Systems Development, Inc. manufactured an interface cartridge which converts the cartridge port to the IEEE protocol and allows direct access to IEEE devices of all kinds. Inside were four chips and a female edge connector, mounted on a good quality, solder-dipped printed circuit board with two male edge connectors. The large edge connector plugs into the VIC cartridge port. The female connector mounted on the PC board is a straight through extension of the cartridge port lines. This means that use of the VIE cartridge does not restrict one from later expansion. The smaller male edge connector is the IEEE port designed to mate with Commodore's P/I cable, or Jim Brain's handy IEEE Cable Adapter over on RETRO Innovations. The IEEE-488 Bus is also known as the HP-IB (Hewlett-Packard Interface Bus), and is commonly called GPIB (General Purpose Interface Bus). High level overview of the IEEE-488 Bus specification. PET and the IEEE-488 Bus (deep dive). ftp.funet.fi:/pub/cbm/vic20 (ZIP file) - Just by a fluke or stroke of luck, I managed to grab the VIC-20 archive on August 7, 2001 before it disappeared some time later. Based on the emails I received back in the day, I believe this archive was used to help reconstruct the resource on some other servers since then as well. Commodore's Book of Games for the VIC-20 (Document) - A catalog of Commodore software products for the VIC-20 home computer. Nüfekop for 1982 (Document) - A catalog of Nüfekop products for the VIC-20 home computer. Check out, Nufekop: Images of a classic game company [Paperback]. German Magazine VC-20 Type-Ins from Tokra - A VC-20 afficionado's gift to us retro-computing enthusiasts! Magazine Indexes & Companion Disks - The Compute! Publications' VIC-20 Index was compiled from various sources by Dan Fandrich, Sami Rautiainen, Michael Heinrichs, Jeno E. Kontros, Jeremy Sieracki, Michael LeRoux, Rick Melick, et alia... Following the Compute! 's GAZETTE VIC-20 index below, I list the (Re-) RUN Magazine VIC-20 Index containing all of the titles published in the first three issues of Re-RUN. The magazine dropped disk/cassette publishing for the VIC-20 after that. - Machine Language: Jump To It! - VICSTATION: A "Paperless Office"
Commodore stops VIC-20 production @ ~2.5M units. The PET was a member of, "The Trinity," ... the three computers widely considered to be the first mass-market home computers. All appeared at about the same time in the late-1970s and competed for market share: PET 2001; TRS-80 Model I; and the Apple ][. Each company had something going for it. 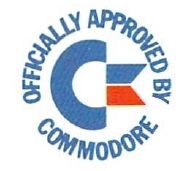 Commodore had Europe. The TRS-80 had a dealer network of thousands of Radio Shack stores across America. Apple had Steve Jobs and the education market. Apple was the real threat and in everybody's crosshairs; just like today!